In this website, we intend to share with you more information about our three models of tagstar tag guns, viz., Tagstar SA, Tagstar SB and Tagstar XB. 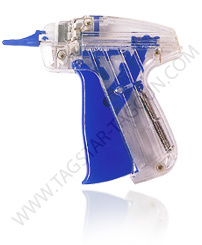 This is a standard tag gun, which can use tagpins in 50 pc clip and 100 pc clip (free-pitch). Hence, it works just well with regular spaced standard tagpins and also with micro space standard tagpins. The needle in this label gun does not have a built-in-cutter. The cutter is seperatly fixed in this tag gun. 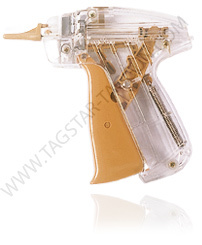 This is a standard tag gun, which can use tagpins in 50 pc clip and 100 pc clip (free-pitch). Hence, it works just well with regular spaced standard tagpins and also with micro space standard tagpins. The needle in this tag gun has a built-in-cutter, hence there is no separate cutter blade in this tag gun. The main advantage is every time you replace the needle, the cutting gets smooth again because of the built-in blade in new needle. This is a fine tag gun, which can use in 50 pc clip, 100 pc clip & 125 pc clip (free- pitch). Hence it works well with regular fine tagpins & also with fine micro-space tagpins. The needle in this tag gun has a built-in-cutter, hence there is no seperate cutter / blade in this tag gun. The main advantage is every the needle is changed, the cutting gets good again because of the built-in blade in the needle.